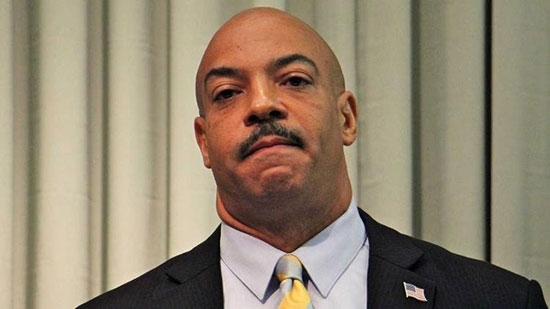 Former Philadelphia District Attorney Seth Williams was sentenced today to the maximum 5 years in federal prison. Under a plea deal, Williams pled guilty to one count of bribery halfway into his corruption trial in June. In exchange, the other 28 charges were dropped. He was accused of taking gifts, vacations, and cash in exchange for political favors. He was also accused of using campaign money for personal expenses and city vehicles for personal trips. Williams also mismanaged his elderly mother's money. In February, he was fined by the ethics board for not disclosing the gifts. He resigned as District Attorney the day he took the plea. Last week, Williams was removed from the Pennsylvania bar. Classes were canceled on Tuesday at Penn Wood Middle School in William Penn School District in Darby, Delaware County for police activities in the area. The school was closed after a body was found near school grounds. The body was discovered on the 100 block of Summit Street. Homicide detectives had the road closed and taped off while they investigated. No word on the investigation. The school will reopen on Wednesday. Philadelphia Police are trying to identify the body of a woman found early Tuesday morning in North Philadelphia. The discovery was made after 1 a.m. on the 1800 block of Westmoreland Street in Tioga/Nicetown. The woman was inside of a trash bag on the sidewalk. She had injuries to her face and head. An autopsy will be performed to determine cause of death. Philadelphia Eagles offensive lineman LT Jason Peters and defenseman LB Jordan Hicks are both out for the season following injuries in Monday night's win over the Redskins. Peters tore both his MCL and ACL. Hicks suffered a ruptured Achilles tendon. Tonight, Mostly Clear, temperatures in the mid 60's this evening in Center City.